Modular system for creating “frameless” recessed channels with a constant opening of 53 mm. 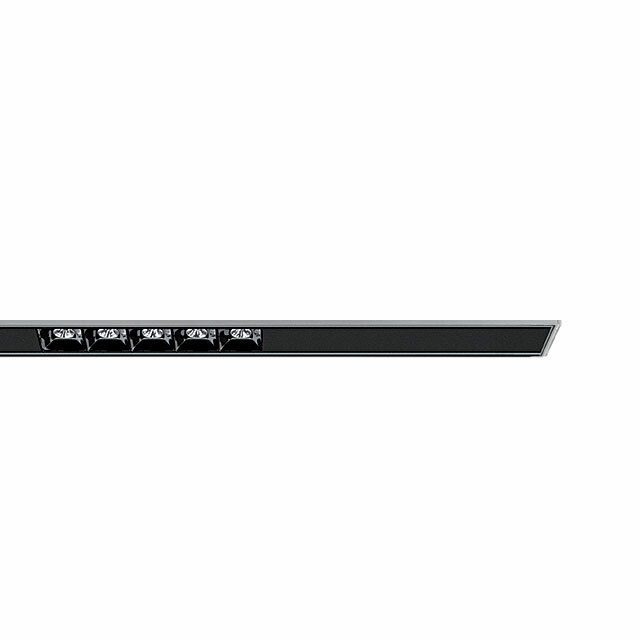 Extruded aluminum structural profile with black finish treatment. 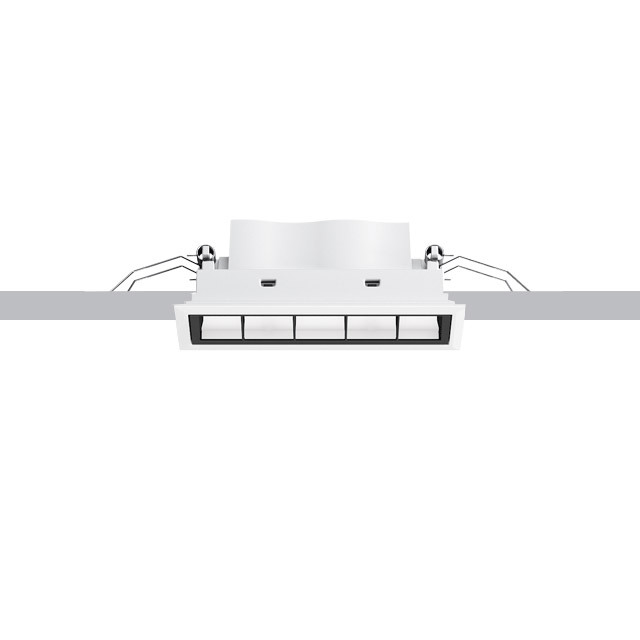 High contrast light modules for accent lighting, with tilting adjustability +/- 45°. 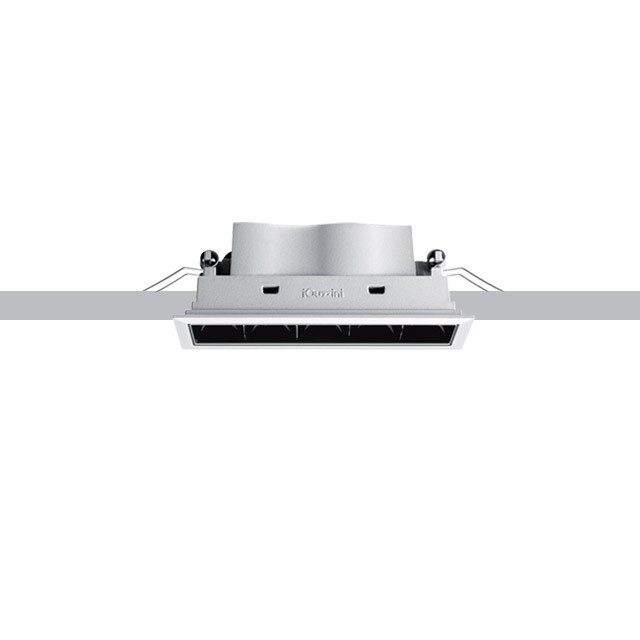 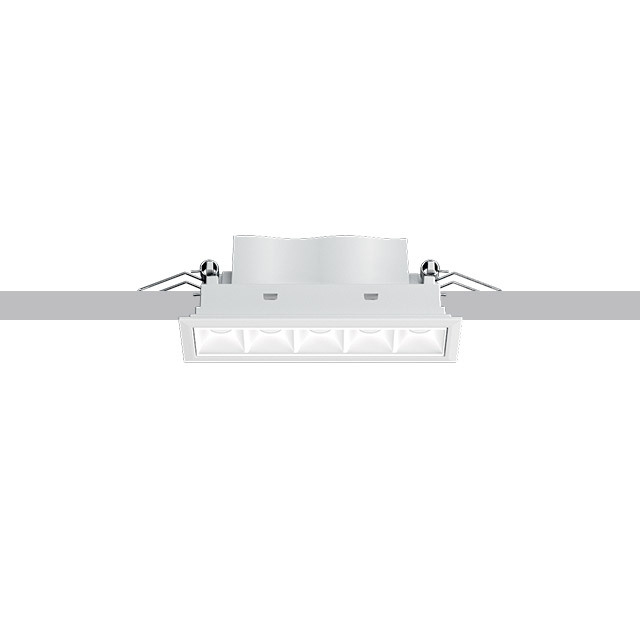 Fixed modules for low contrast emission, for general and wall washer lighting. 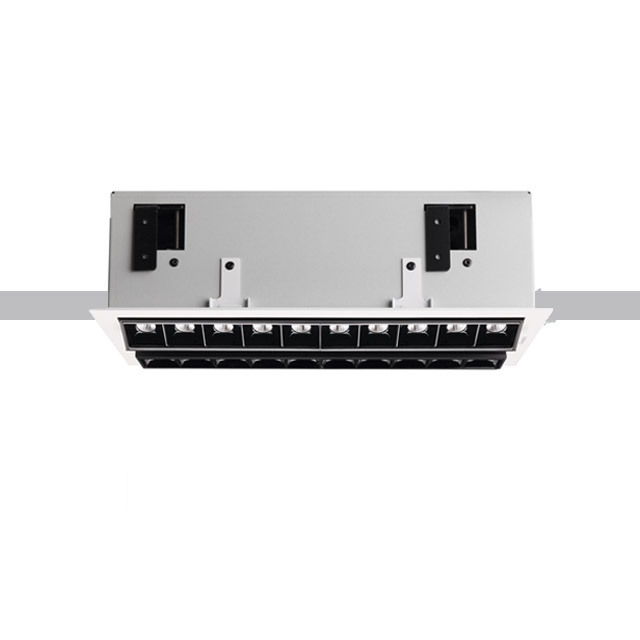 All modules come complete with integrated power supply.